In this file photo, an airline stewardess heads towards a departure gate at Chek Lap Kok airport March 7, 2003 in Hong Kong. The U.S. State Department on Thursday updated its increased travel warning about China, urging Americans to "exercise increased caution"
The State Department warning said that Chinese authorities have "exit bans" to prevent US citizens from leaving China, sometimes "for years"
The U.S. State Department on Thursday updated its travel warning about China, urging Americans to "exercise increased caution" in the country "due to arbitrary enforcement of local laws as well as special restrictions on dual U.S.-Chinese nationals." The State Department's "Level 2" warning, which was first issued last year, noted that Chinese authorities have "exit bans" to prevent U.S. citizens from leaving China, sometimes "for years." The updated warning notes that the bans are used "coercively" to "lure" people back to China from abroad, a point that was not mentioned when the warning was first issued. The bans are also used compel Americans to participate in Chinese government investigations and to help Chinese authorities resolve civil disputes "in favor of Chinese parties," the warning says. 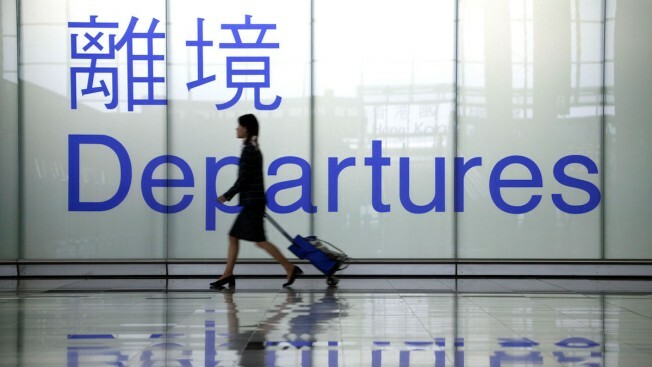 "In most cases, U.S. citizens only become aware of the exit ban when they attempt to depart China, and there is no method to find out how long the ban may continue. U.S. citizens under exit bans have been harassed and threatened," the warning said. The State Department in recent weeks has issued a number of Level 2 travel warnings for countries, including the United Kingdom, Spain, Russia, France, Italy, Belgium and the Netherlands, citing the risk of terrorism. Last week, that level of warning was issued for Burma, urging travelers to "exercise increased caution ... due to areas of civil unrest and armed conflict." Level 2 travel warnings are one step more serious than Level 1 warnings, which urge travelers to "exercise normal precautions." The next more serious warnings are Level 3, or "Reconsider travel," and Level 4, "Do not travel." The updated warning does not apply to Hong Kong. The State Department's advisory on that special administrative region urges travelers to "exercise normal precautions."